Since 1966, we have led the effort to organize local ski trips for children. We have been at the forefront of encouraging young skiers & snowboarders to pursue that passion and develop life skills in the process. We have 24 trips on the schedule this year including four Friday night trips (13 and older) and 2 Monday trips. 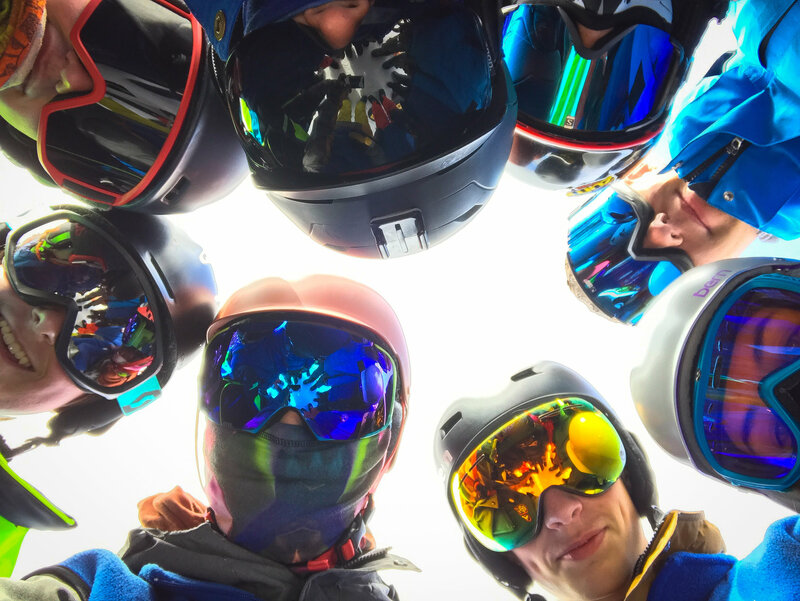 The Snowflake Club - Instructs boys and girls ages 8 through 18 how to ski and snowboard. While our primary purpose is to provide a fun-filled and exciting day of skiing, we also place emphasis on members taking lessons. Beginner members must take lessons until they demonstrate that they can ski/board safely and under control. Our ski school is certified by the Professional Ski Instructors of America (PSIA), and we use their teaching models for our lessons. We award letters in the form of patches to indicate the childs ability and progression from beginner to advanced skills: 1 to 10 for skiers, A to F for snowboarders. I did snowflake as a kid 30 years ago and now my daughter is in the club creating memories she will tell her own kids one day! There is an annual membership fee for each participant. This comes with an ID that must be taken at Williams Ski and Patio prior to the 1st trip. The price of each trip includes: round trip coach bus transportation, lift fees, instruction and supervision. Adult supervision is provided on every bus, on the slopes and in the ski lodge. One supervisor is always in the lodge at the "white flag table" to answer any questions and to assist members with any problems. Members are required to have equipment with them at the bus stop, we do not rent at the hill. Members who provide a Season Pass on our trips to Wilmot or Alpine will receive a $30.00 credit for the trip. Highland Park, Kenilworth, Lake Forest, Northbrook, Wilmette and Chicago. Driving directions and maps are available on-line under "About the Club" Bus Stops tab.